Formulas are a fantastic feature in spreadsheet applications that allow you to quickly perform mathematical operations on cells. 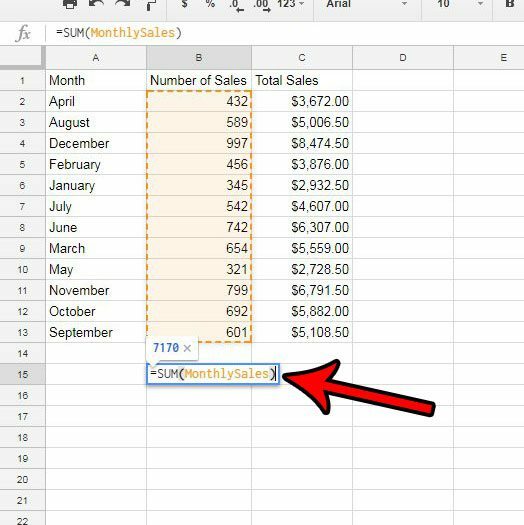 the nature of these formulas even makes it so that you can change a value in one of those cells, and it will automatically update the result of the formula. 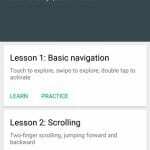 Typically you need to define a range of cells when you use a formula, but a feature called Named ranges can make that step a little simpler if you want to save yourself some time with ranges that you use a lot. 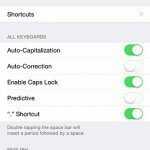 Our guide below will show you how to create and use a Named range in the Google Sheets application. 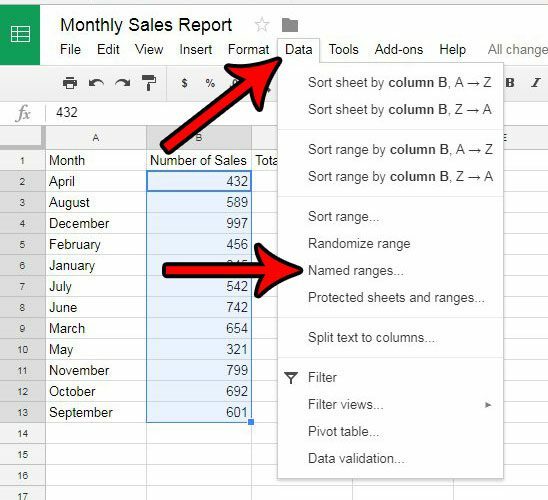 The steps in this article are going to show you how to create a named range in a Google Sheets spreadsheet from a group of existing data in that sheet. 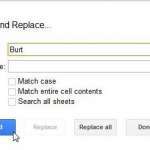 You will then be able to refer to that named range by the name that you create when you use it in formulas. 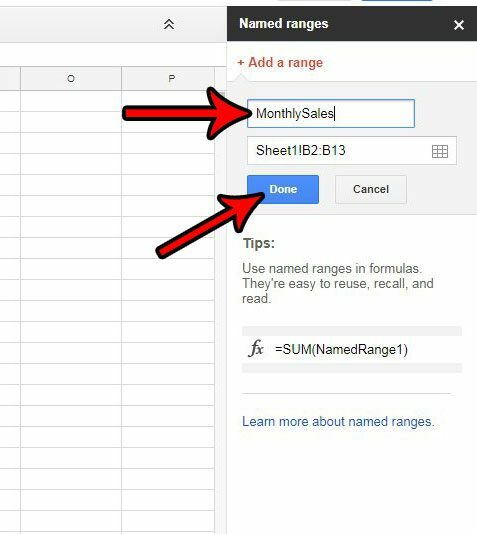 Step 1: Go to your Google Drive at https://drive.google.com/drive/my-drive and open the spreadsheet containing the data that you want to set as a named range. Step 2: Select the cells containing the data for the named range. Step 3: Click the Data option at the top of the window, then click the Named ranges option. Step 4: Enter a name for the named range into the top field of the column at the right side of the window, then click the Done button. Step 5: You can then use this named range in place of the cell references that you have previously been using in formulas. For example, in the image below I can get a sum of the named range by typing =SUM(MonthlySales) into a cell, rather than the =SUM(B2:B13) formula I would have had to use before. This can be a real time saver if you have to reuse the same range of cells in multiple formulas, or if the range takes a while to select. 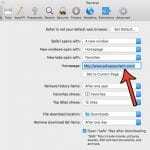 Does your school or job require you to submit Excel files, but you don’t have Excel? 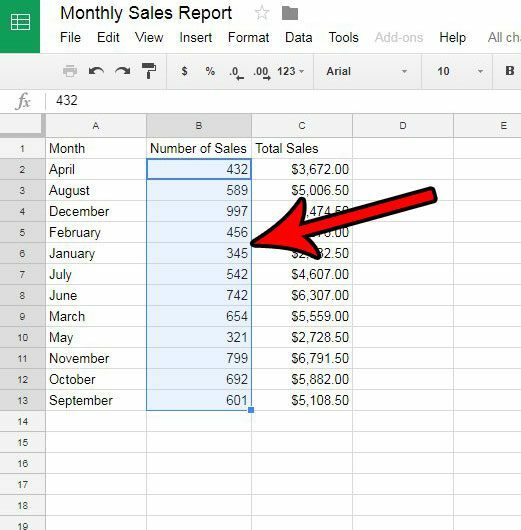 Learn how to export Excel files from Google Sheets using a quick process.